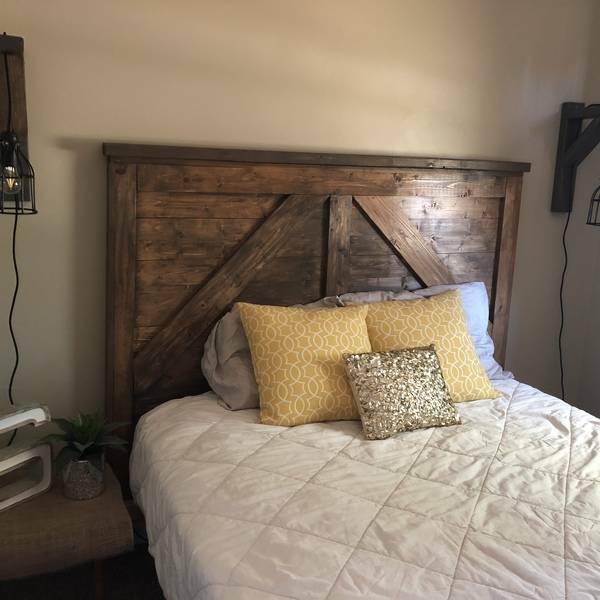 I am obsessed with farmstyle decor and wanted to incorporate a barn door style headboard for my guest room in my home. I was inspired by the king size plans from Shanty 2 chic and reconfigured the plans myself to build the queen version. 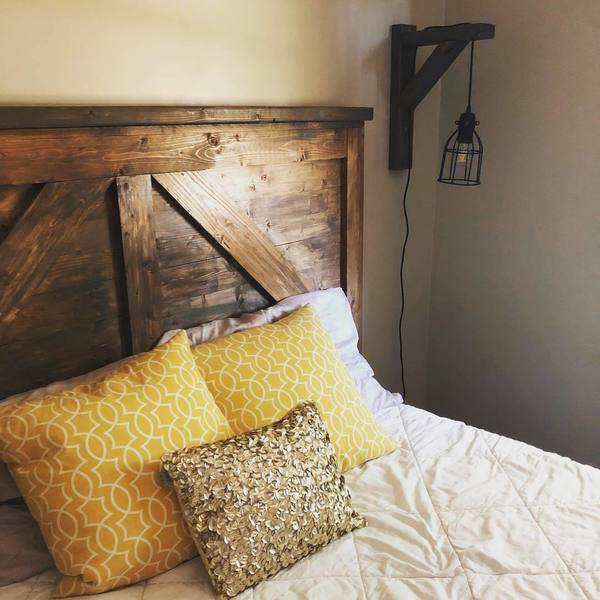 I also added corbel lights on either side to accent it as well. That headboard is wonderful and the corbel lights are perfect with it! I’m so impressed !!! Beautifully done ! So happy you made one for us!